Heat the oven (with the oven rack in middle) to 350ºF. Coat a 9 x 5-inch loaf pan with cooking spray. 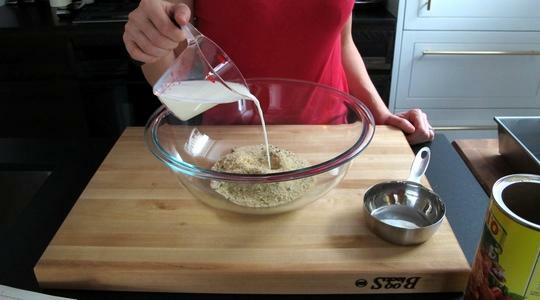 In a large bowl, soak the breadcrumbs in milk. Finely chop the onion. 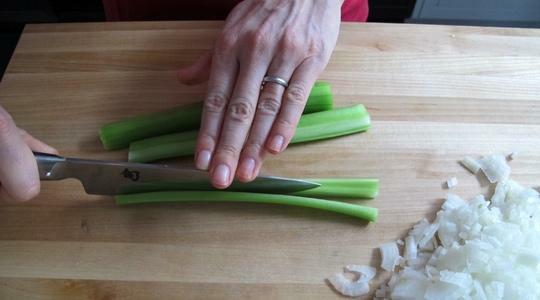 To chop the celery, first cut each stalk lengthwise into 4 strips. Then cut crosswise into small pieces. 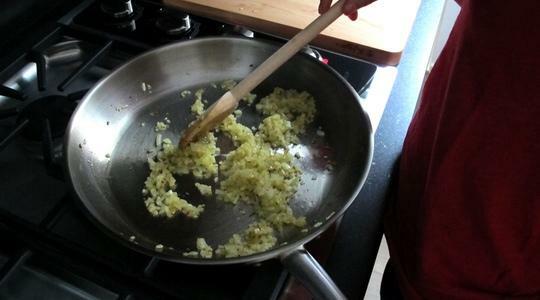 In large skillet, heat the oil over medium-high heat. 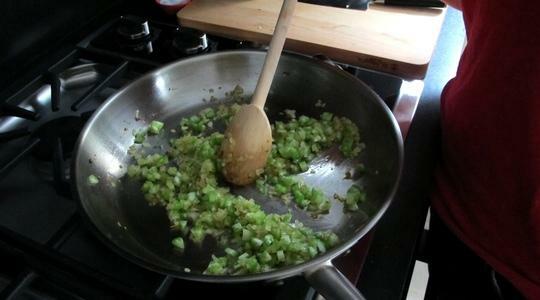 Add the onion and cook, stirring occasionally, 7 to 10 minutes, until tender. 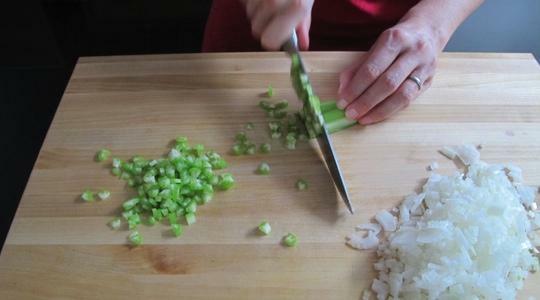 Add the celery and cook 3 to 4 minutes longer. 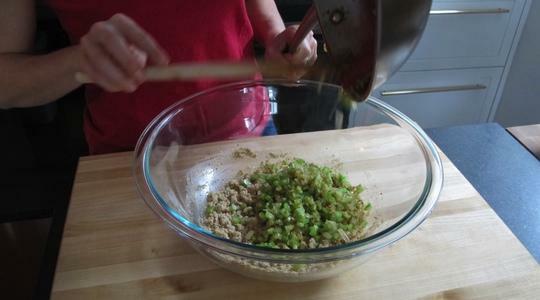 Scrape the mixture into the bowl with the breadcrumbs. 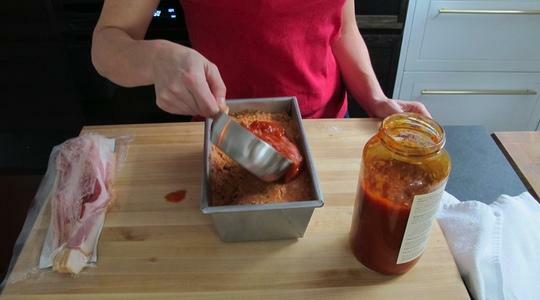 Add the turkey, Parmesan, carrot puree, ketchup, salt, and pepper, and stir to combine. Turn the mixture into the loaf pan and smooth the top. 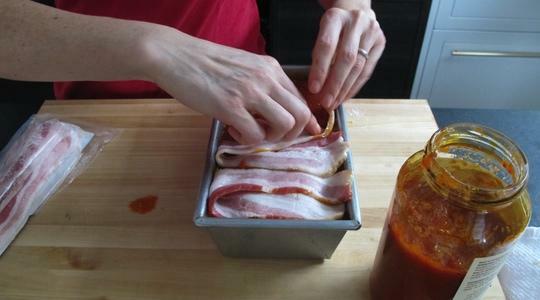 Spread tomato sauce over the meatloaf and lay the strips of bacon on top in a zigzag fashion. Bake until the center of the meatloaf is no longer pink and the bacon begins to brown, 50 to 60 minutes. Cut into slices and serve.